NGC 4656, also known informally as the "hockey stick galaxy," is a distorted edge-on spiral galaxy. 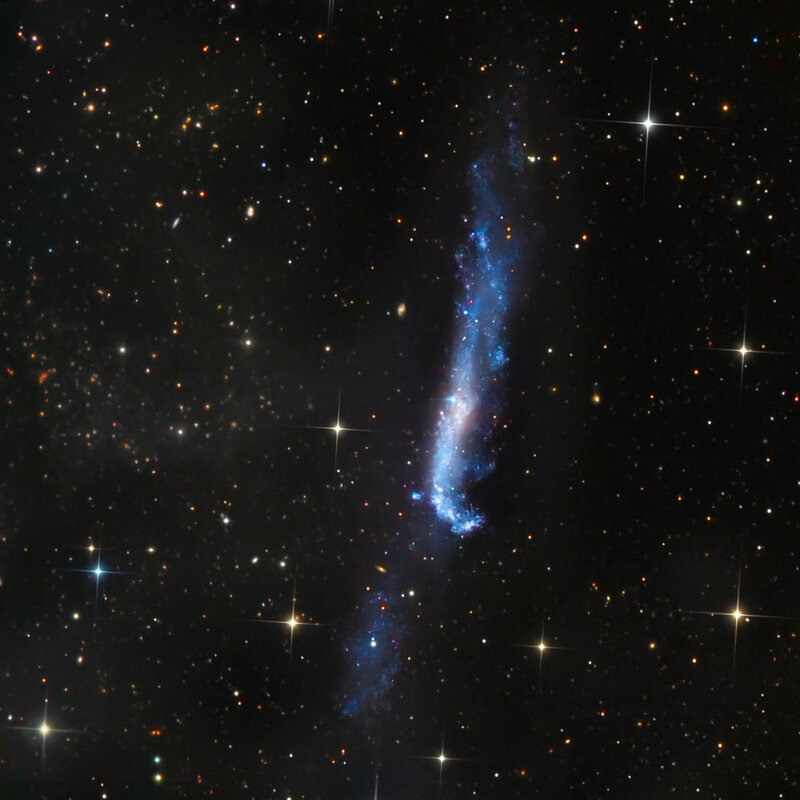 Its distinctive shape is due to a recent gravitational interaction with the galaxy NGC 4631. It is not yet certain, but these two galaxies may be in the early stages of merging. The faint object in the upper-left corner may not be part of the galaxy, but instead be a dwarf galaxy in the process of merging with NGC 4656.